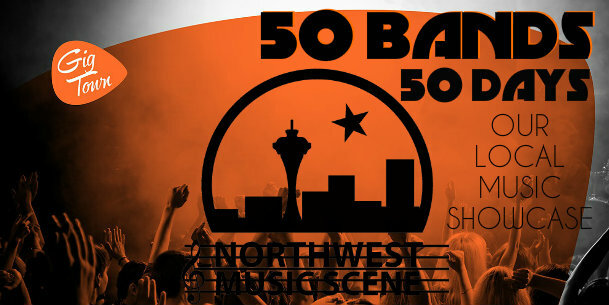 Here at 50 Bands in 50 Days, our annual showcase of some of the best talent coming out of the Pacific Northwest, presented by GigTown, sometimes we like to get a little down and dirty. That’s especially true on this Tuesday, November 17th, where we’re turning you onto one of the grittiest punk bands coming out of Puget Sound, Stiff Spirit. Hailing from the Emerald City, Stiff Spirit is an underground punk band with a huge emphasis on raw energy and simplistic, stick-in-your-mind approaches to its songwriting and performances, much alike a lot of the best punk bands of the 70s. Stiff Spirit employs a great recording style that manages to be stylistically mangy and messy, while still maintaining a lot of punch and bite. Stiff Spirit is also notable for its passionate and dedicated fan-base, whose combined efforts and reach managed to ultimately declare Stiff Spirit’s latest release, Just Say Ya Hate It!, the best Pacific Northwest album of 2014 in our Reader’s Poll. Listening to their music, it’s easy to see why. Stiff Spirit’s music is an exemplary display of employing a punk sound that’s simple and, in a sense, “dumbed down”, while remaining urgent and endlessly enjoyable at the same time. It’s not something you have to think too hard about, and we wouldn’t want it any other way.